Good night, out of sheer ignorance, I would ask the question, I did not intend to judge anyone. 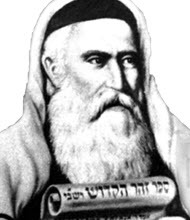 More from the Tzadikim, or have had that he was gay? Literal Zohar translation to English is difficult, limiting and in most cases can not be comprehended. The reading is from the original text in Aramaic and it connects us to the energy revealed from the Zohar. On http://DailyZohar.com you can listen to the Zohar and read commentary in English. I don’t know of such tzadik. Being a gay man or woman is a difficult correction especially for men. Coming to this world is about continuing the light to the world by being fruitful and multiply. There were tzadikim without children or that their children died young. Their work was about spreading light in the world thought their actions, writing and teaching. Having said that I know of gay people that are righteous all their actions in ways that I wish other people could learn from them. We should not judge any person for their soul but appreciate each one for their positive actions for others.